Our homes are a reflection of ourselves and choosing how to fill them is a labour of love. Creating our perfect spaces can take a lifetime of careful tweaking. Decorating is a task that’s rarely completed but the right trends can provide us with inspiration to try something new. Though, before we bring a new style into our home, it’s worth considering how long it’ll be around and if it will suit us in the years to come. Here’s our guide to on-trend greige flooring, to help you decide if the look could be a welcome addition in your home. Although it may sound luxurious and historic, greige is a modern amalgamation of two words: ‘beige’ and ‘grey’. Quite simply, it’s the combination of beige hues and cool greys. Greige can come in various levels of warmth and depth depending on the balance between the two colours. A heavier balance on beige gives a sense of cosiness whereas more grey can create a fresh, modern feel. 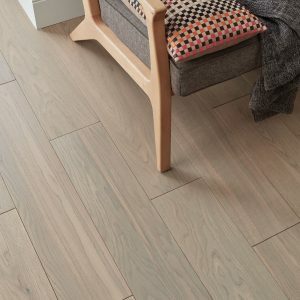 Even though this trend only combines two colours, greige flooring can provide a whole spectrum of decor opportunities. You may choose to use a shade of greige with darker greys or perhaps with lots of warm beiges. Whichever you decide, the balance between the two colours can have a surprisingly different effect. 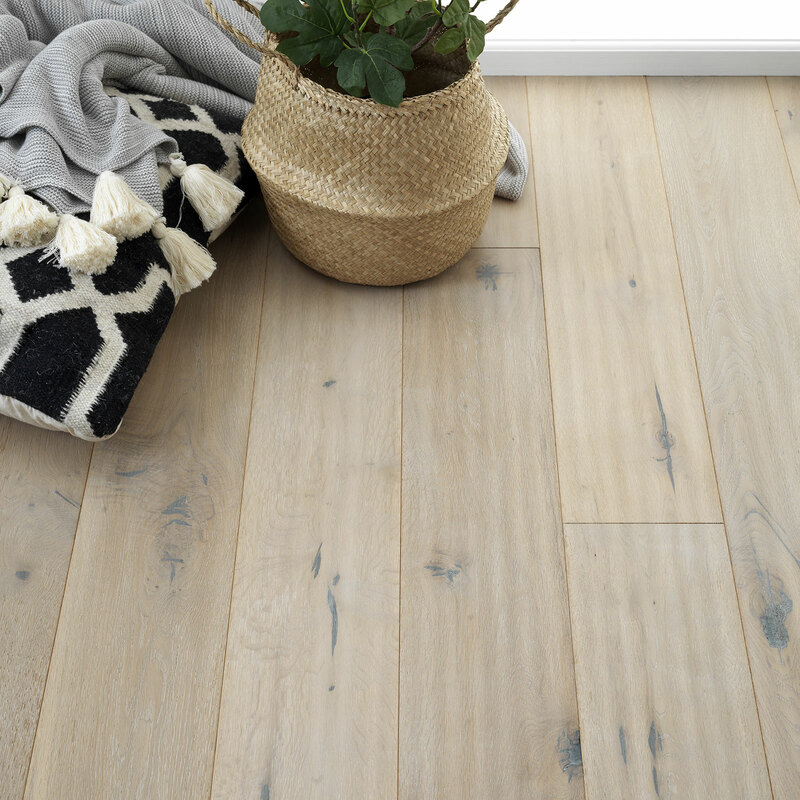 Greige wood flooring is incredibly versatile with its neutral and calming shades. It can be styled up or down with bold or neutral colours: a bright feature wall maybe? Or perhaps a clean and simple white? When considering greige flooring for your home it’s important to think of the overall ‘look’ of the space. Being a neutral trend it brings with it an array of hues, so choose first whether you wish to style your space to feel soft and warm or more open and cool. 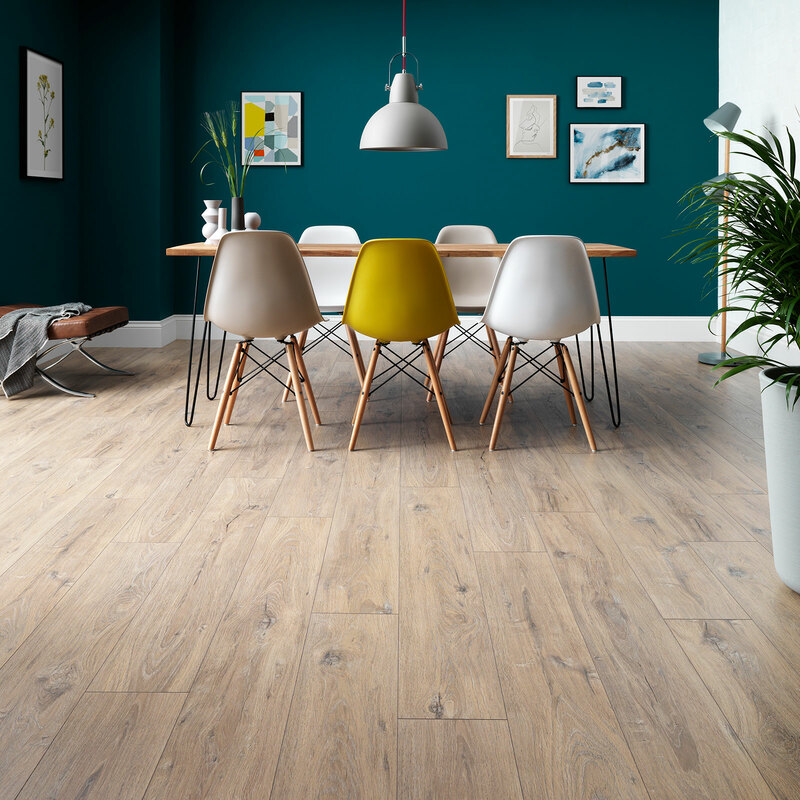 Choosing the ideal shade of greige wood flooring for your home will mean that you’ll have a long lasting and versatile floor that will stand the test of time. 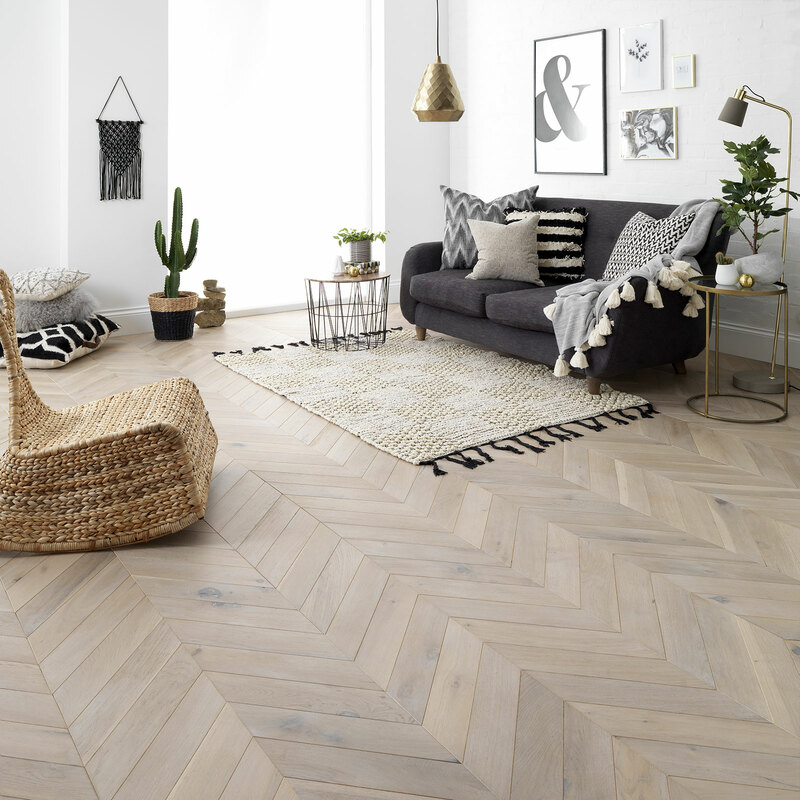 Greige can bring a sense of luxury to stylish parquet flooring – perfect for a statement living room. It can also be casual and informal, in driftwood- style hues, perfect for a light hallway or an open plan apartment. The modern style of greige woods means they can be perfectly paired with pops of colour and unusual textures. With this trend you’re given space to freely experiment with textures, patterns and accents. For subdued elegance, greige works well with lots of luxurious layers of neutral colours. Matching beautiful greige flooring with a neutral wall and crisp linen bedding will create a blissful bedroom. Try adding natural fabrics such as woollen blankets and cushions to greige floors for a really zen effect. Greige isn’t just about stripped-down styling though. This trend can act as a neutral platform to propel splashes of bright colours in the home. Pair greige flooring with black furniture or textiles for a clean and contemporary look, while tasselled blankets or wicker accessories will give your room added interest. Discover greige wood flooring inspiration for your home. Is the greige wood flooring trend for you? What's the trend all about and how can you bring it into your home? Grab a cuppa and find out in this post.